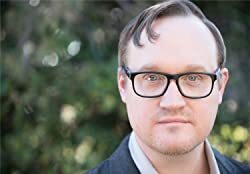 Michael Johnston was born in 1973 in Cleveland, Ohio. As a child and a teen he was an avid reader of science fiction and fantasy. He studied architecture and ancient history at Lehigh University and during a lecture on the history of ancient Egypt, the seed of an idea was born. He earned a master’s degree in architecture from Columbia University, graduating at the top of his class. Michael worked as an architect in New York City before moving to Los Angeles. He now lives and writes in Los Angeles with his wife and daughter. You can find Michael on twitter @mjohnstonauthor or at http://michaeljohnstonauthor.com. CLICK HERE FOR MORE STORIES BY MICHAEL JOHNSTON. Soleri (2017), by Michael Johnston, isn’t going to make anyone marvel at its originality, which in and of itself isn’t necessarily a problem. I’ve said many a time that with genre books, often one can get away with employing standard tropes in terms of characters and plots so long as the craft and execution is there. 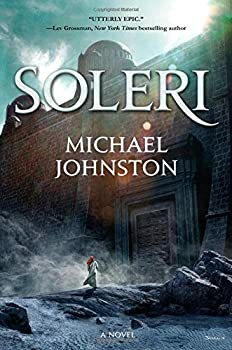 Unfortunately, Johnston doesn’t quite succeed with either, and so despite having some potential, it’s hard to recommend Soleri at this point, especially given that the story ends wholly unresolved.